Hi! 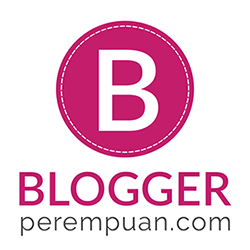 It's been a while since I updated my blog. Well, I guess I am enjoying my vacation too much. I came back to my hometown; Palembang, and has been strolling around for around two weeks for celebrating Idul Fitri with my family. Last week, I came to one of my friends' house; Nana's. Every time I come to her house she always show me her new make up items and let me try them, see, how kind! 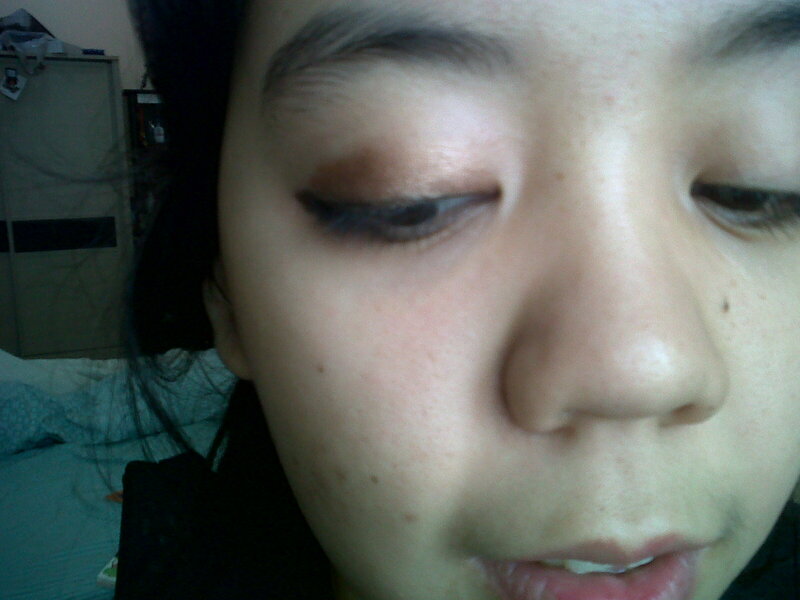 Hehe, this time she let me try her new Make up For Ever Aqua Shadow in Pearly Copper 22E. 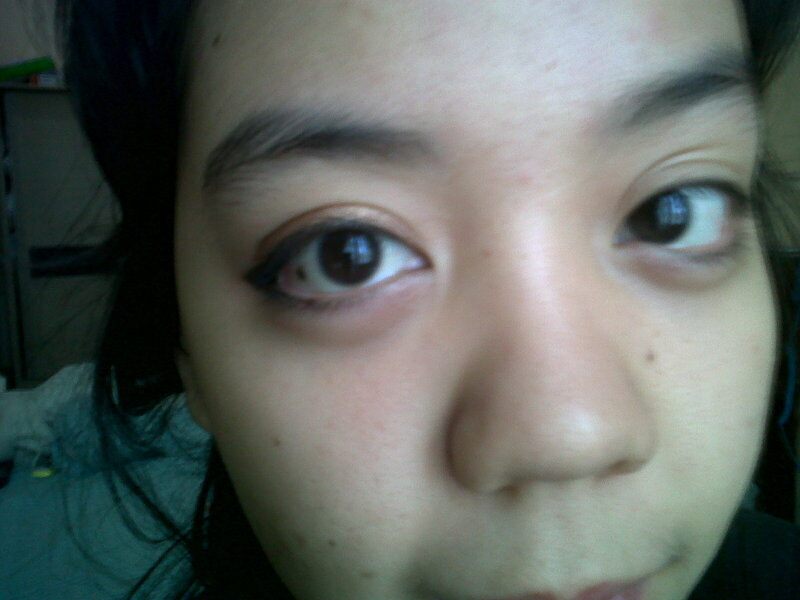 Actually, I also tried Make Up For Ever Aqua Eyes 0L (Mat Black), but I guess I will share it later. Make Up For Ever Aqua Shadow seems to fill a thin lines between the eyeliner and cream shadow, it is a chubby pencils but can cover more areas in your eyes than eyeliner. 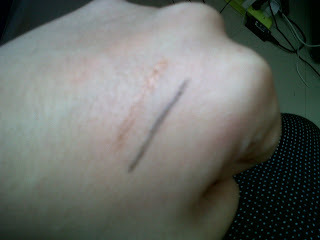 I find that the formula of Aqua Shadow is less creamy than any other pencil eye shadow and it's also easy to be blended. 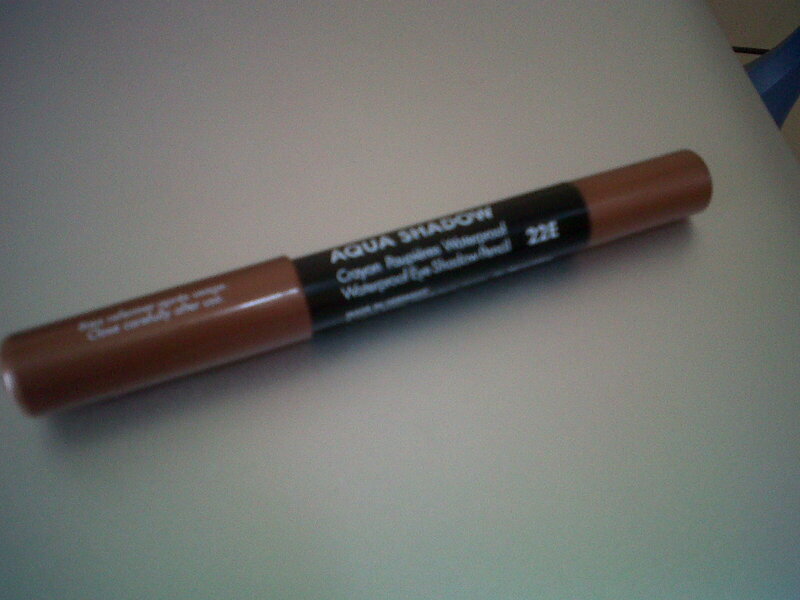 The Aqua Eyes Eye Shadow glides on easy but not as slippery as other eye pencils I've ever tried on. From what I've read on the other beauty blog and online review, it is probably because of the high wax content which keep your eye shadow long-lasting and water-proof. Still I find drawback of this product as it's hard to blend with your fingers or brushes. After wearing this for a few hours (about 6 hours), I love that it last before some creasing! I didn't use any eye primer though. What I love the most is the creasing. The creasing is unlike any other eye product (since I have oily eye lid), it's more like the color was still there, only weakened. 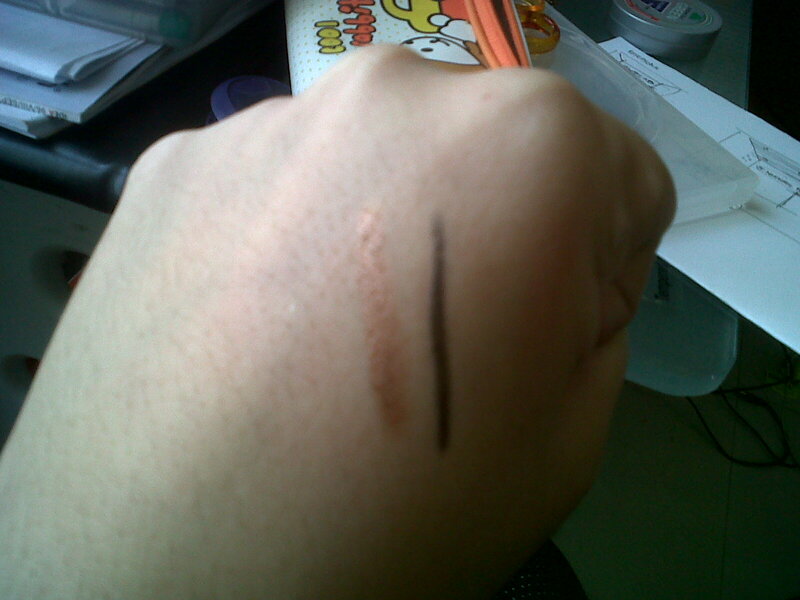 Here is the comparison of it right after the application, 4 hours later, and 6 hours later on the back of my hand. 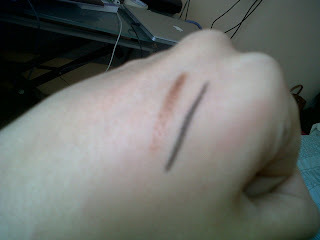 The Aqua Eyes was also being swatched next to Aqua Shadow. Well, overall I can say that I love this product. This will be perfect for on-the-go since the application is easy. The only thing that I hate about this product is its price :p It will cost around Rp 250.000,00 (as my friend told me) for a pencil. But I guess that's the price for quality. Hehe. I hope that I can buy this for myself, hehe I'm still saving up my money, it's really nice and it's easy to apply and bring everywhere!